B&O just put a big fat squiggly line under their room correction abilities introduced with their space traveller’s speaker, Beolab 5. 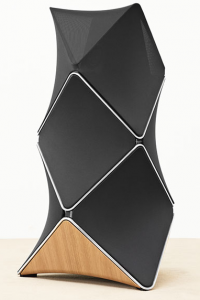 With the new Beolab 90 we can now more or less refurnish our living rooms and always sound good in the process. Each speaker houses 18 drivers and two massive D-Class amplifiers. Inputs range from your usual line-in over balanced XLR to all the digital ins under the sun. This one’s going to be interesting to hear. Bang & Olufsen has joined the iPod dock wagon and done it in as much style as one has come to expect. Equally expectable is the lack of vision in as much as the Beosound 8 does not support wireless audio streaming. Instead Bang & Olufsen relies on external devices for streaming, such as the Apple Airport (which they explicitly mention) or presumably anything with a Toslink connector such as Logitech Squeezebox. A bit more novel is that support for Apple’s iPad. Anything Apple will fit in the connector. Drop in an iPad and you have yourself a pretty nice transistor radio with room adapting sound processing. Nice. Less nice, of course, is the fact that anything not Apple, is pretty much left out to dry. As iPod docks go, this one looks good. Incredibly good, in fact. But iPod docks are legion. Did someone say “been there – done that”? 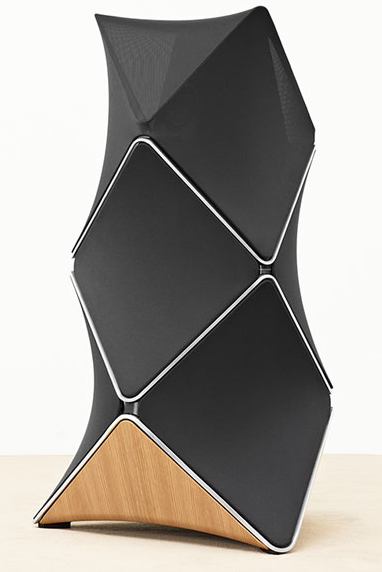 The long anticipated BeoSound 5 was announced yesterday. In terms of surprises the only one appears to be the release timing, in so far that it does not show much novelty over its competition in this segment. One major feature, though, is a system which based on metrics* is capable of selecting other songs similar to the one just finished. More of the same, as it is aptly named. I fear, however, that an equally fitting name could turn out to be Name that influence; when seeded with some middle of the road country tune it starts playing 2.000 hours worth of songs only distinguishing themselves from the seed track by lyrics and cover art. Well, I guess it can be turned off. Looks are, expectedly, nice as always as is the user interface and means of operation. No easy solutions there. A nifty three-piece scroll/toggle-wheel operates the navigation system. An internal 500GB hard drive makes for storage and a 10.4” crystal clear monitor informs you of all you need to know. Once I know the specs in detail [Flac, uPnP, resolution etc.] I will update this article. Let’s just hope the specs will have something substantial to show. Comparing the BeoSound 5 with some of the other players on the market, particularly in this price range, it does not look promising however much I wanted it to. *More of The Same will base its decision on spectral analysis and beat detection schemes. With such services as Last.fm and Pandora comparisons are done somewhat differently, in that recommendations of new songs are made primarily by selecting songs from playlists made up from other people’s playing habits; playlists having some likeness with your own. The difference being, of course, that one system gives you new songs you may like even if they are different from what you otherwise play, while the other plays what you already have on your system maintaining a certain uniformity.